Baby it's cold outside! And, if it's going to be winter then I say we should see a little snow. Nothing says January better than ski lodge chic. My mind gets filled with images of cozy firesides, steamy cups of cocoa, roasting sweet smores and snuggling up inside whenever I think of après ski. Just in case you're wanting to actually brave the cold and experience the chill, here are some ultra cute ways to keep warm while doing so. 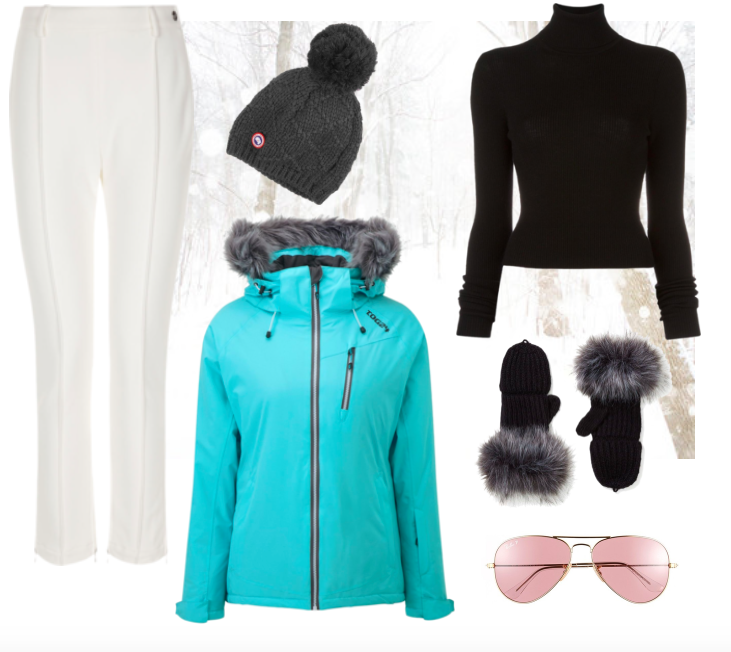 This jacket, these mittens, this sweater and these Ray Bans are some of my favorite picks Of course there's plenty more to adore and you can shop your faves below. Hope you're enjoying a wonderful first week!